Harry N. Abrams, 9780810957305, 352pp. 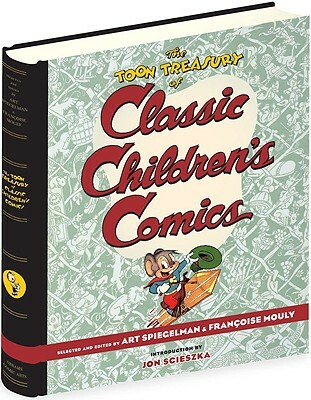 Art Spiegelman is an American comics writer, artist, and editor. He is the creator of Wacky Packages and Garbage Pail Kids for Topps, and is best known for his Pulitzer Prize-winning graphic novel memoir, Maus. Francoise Mouly is an artist and designer. Together with Art Spiegelman she edited the groundbreaking comics anthology Raw from 1980 to 1991. She is the art editor for the New Yorker, and publisher of TOON Books. Jon Scieszka is the National Ambassador for Young People's Literature. He is the author of The Stinky Cheese Man, which won a Caldecott Honor medal, and the founder of Guys Read (guysread.com), a nonprofit literacy organization.